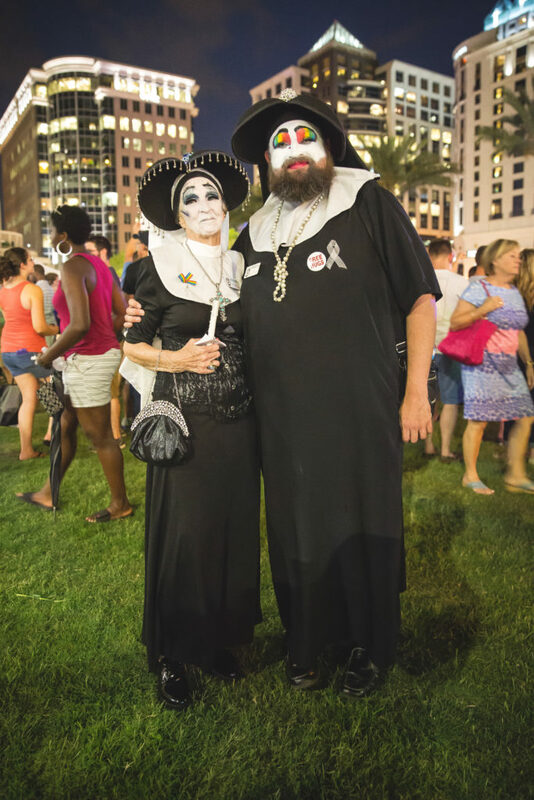 Digital photograph of two members of the Sisters of Perpetual Indulgence at the Dr. Phillips Center for the Performing Arts vigil on June 13, 2016. Photo donated by J.D. Casto.